In The Long Walk to the Performance Search Party attempt to retell and re-enact stories of hope and optimism, of tragedy and regret. 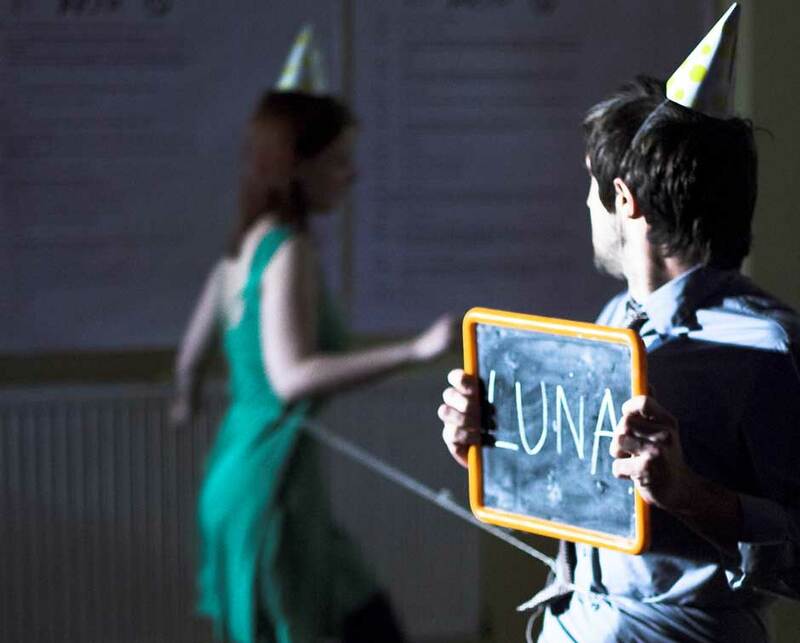 Framed as a party, the performance borrows customs and games associated with communal celebrations to playfully re-tell stories of hope, tragedy and despair. Search Party are determined to remain optimistic but as the tragedies accumulate and the failures escalate, it becomes a test of optimistic endurance. The performance was selected for the National Review of Live Art (2008).The Long Walk to the Performance has been documented by the Live Art Development Agency and appears on their Joining the Dots DVD, copies available on request. Made with support from the Exeter Phoenix. Developed with support from Ferment (Bristol Old Vic) and Pilot (Coventry).